As Monday evening became Tuesday morning in Annapolis, the 2018 legislative session of the Maryland General Assembly came to a close. 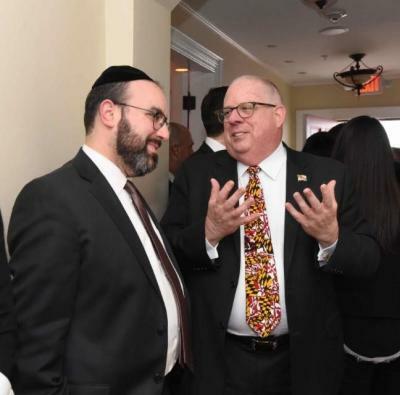 Thankfully, Agudath Israel’s efforts on behalf of Maryland’s Jewish day schools and their thousands of families saw remarkable results in the growth of funding for nonpublic school students. The $20 million earmarked for Maryland’s private school students for the 2018-2019 school year represents a 500% increase from the $4 million generated in Agudath Israel of Maryland’s first legislative session in 2008. The BOOST (Broadening Options and Opportunities for Students Today) Scholarship Program was expanded by 30% and will provide $7 million in scholarships for low-income Maryland students wishing to attend private schools for the 2018-2019 school year. Since its inception two years ago, the BOOST program has provided approximately $2 million to Jewish day school students. Aside from the funds increase, the 2018-2019 BOOST program will now offer larger scholarships to children with special needs attending nonpublic schools. Maryland’s Nonpublic Textbook and Technology Program and its Nonpublic Aging Schools Grant Program were both level funded at $6.1 million and $3.5 million, respectively. With Maryland joining the unfortunate ranks of having a school shooting last month, the state took a strong stand on school security measures. As a result, a new grant of $3.5 million was added for nonpublic school safety enhancements. And, new for this year, an allocation of $1 million was made for schools and day care facilities that are assessed to be at higher risk of being targeted with a hate crime. Those funds will be able to be used to cover costs for security personnel, and other enhancements. A new bill, the Maryland Cares for Kids Act, will enable all low-income students to participate in the federal breakfast and lunch programs at no charge. For those students that were previously eligible for “reduced price” meals, the state will now cover the cost differential and provide free meals for those students. The bill was initially drafted only for public school students, but advocacy by Agudath Israel and its coalition partners pushed the sponsors to make it available to all eligible children regardless of the type of school they attend. Agudath Israel worked diligently all session on ensuring Maryland’s embrace of the IRS Section 529 College Savings Plan expansion to include K-12 private school tuition. Legislation to prevent these critical tax benefits from applying to K-12 day schools was defeated and the state’s Treasurer and Comptroller acknowledged the new available tax benefit. As a result, couples will be able to potentially receive a tax deduction of up to $5000 per beneficiary (e.g. child, grandchild, etc) for contributions to a 529 account that can now be used for K-12 tuition. Agudath Israel produced a detailed 529 guide for parents which is available by clicking here.